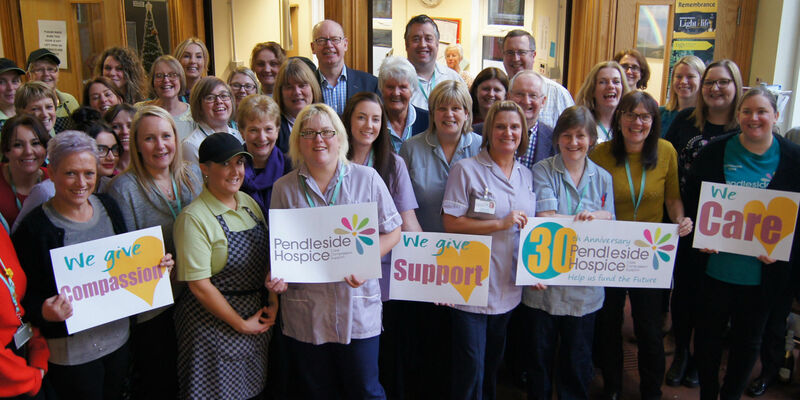 Pendleside Hospice is a registered charity (no. 700993) and we wouldn't exist without the support of our local community. We welcome individual, group and corporate donations, volunteers giving up their time to help and people taking part in fundraising and/or organising events. There are several ways you can make a difference including the following ways to make an individual or corporate donation. ONLINE please use the form below to make an online donation. REGULAR GIVING / STANDING ORDER to request a standing order form to be returned to the hospice when completed and signed please telephone the fundraising department on 01282440120. By setting up a regular gift today you can help make a difference to the lives of many local people and their families and carers at Pendleside Hospice. Why give a regular gift? Just £3 a month (or 10p a day) will really make a big difference to everyone we care for at Pendleside. If you would like to make a donation in memory of someone please tick this box then enter full details. If you would like to make a donation please tick this box then enter full details. If you are submitting sponsor money please tick this box then enter full details.